The Homeschool Gossip: Service Opportunity with Samaritan's Purse June 13 and 14! Service Opportunity with Samaritan's Purse June 13 and 14! Thank you Kristen C. for sharing! "This is an awesome opportunity to serve with an amazing organization! * Please note it is only open to ages 13 & up." Please join Operation Christmas Child on Tuesday, June 13, and Wednesday, June 14, in Charlotte for a special time of processing shoebox gifts for needy children worldwide. We plan to do 22,500 boxes in 21 hours—more than 1,000 per hour! 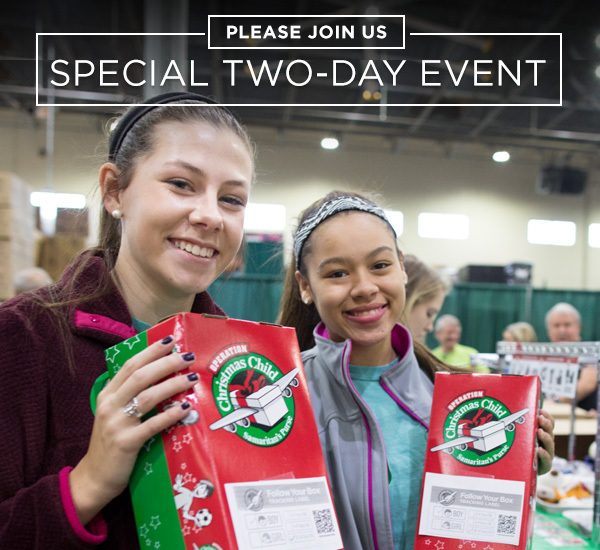 Don't miss this exciting opportunity to be a part of bringing the Good News of Jesus Christ to girls and boys in some of the most remote corners of the earth as you process build-a-shoebox-online gifts. Sign up for one or more three-hour shifts with your family, church group, or friends. Volunteers must be at least 13 years old. Join The Homeschool Gossip's Service Projects Collaboration today!